Seven story post-tensioned concrete structure for 421 cars. Six story post-tensioned concrete structure for 530 cars. Seven story post-tensioned concrete structure for 792 cars. Seven story post-tensioned concrete structure with two subterranean levels, five levels for parking and two for office space. Six story post-tensioned concrete structure addition for 683 cars. Two story concrete structure with precast columns and beams and cast-in-place, post-tensioned slabs for 200 cars. 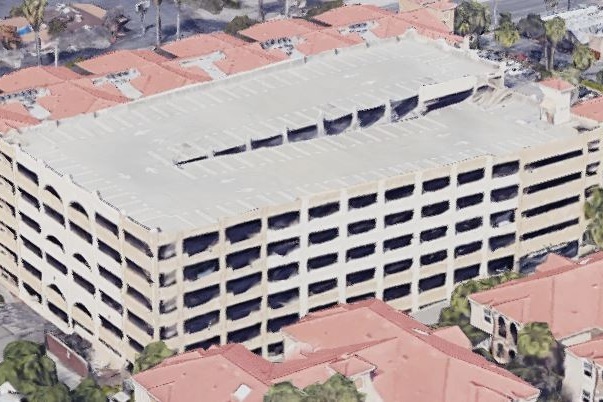 Six story post-tensioned concrete parking structure for 3366 cars. 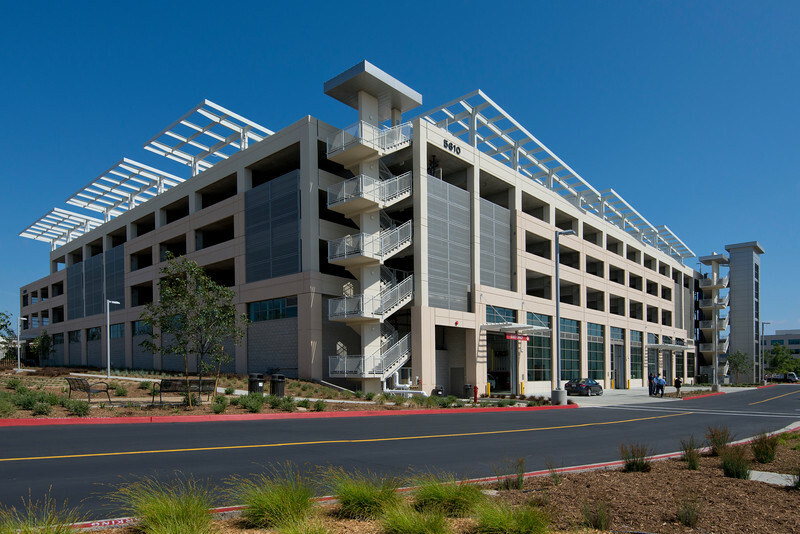 Four story subterranean parking structure with precast columns and beams and cast-in-place, post-tensioned slabs of 240,252 square feet for 608 cars. 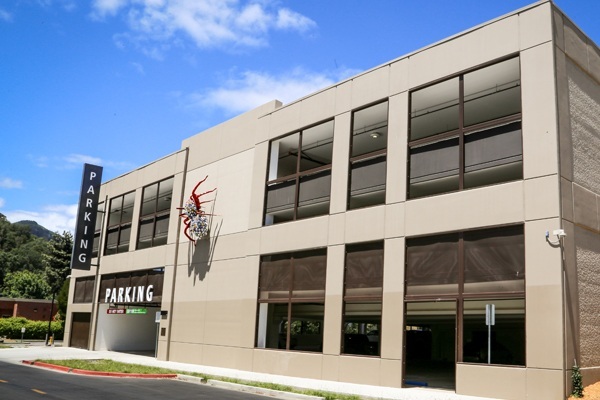 Four story parking structure with precast columns and beams and cast-in-place, post-tensioned slabs for 810 cars. 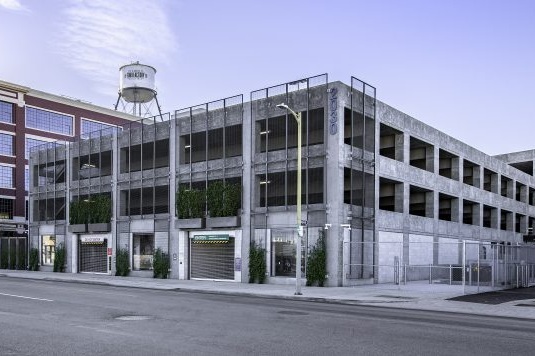 Two story parking structure addition over an existing two story parking structure with post-tensioned concrete construction for 1011 cars. 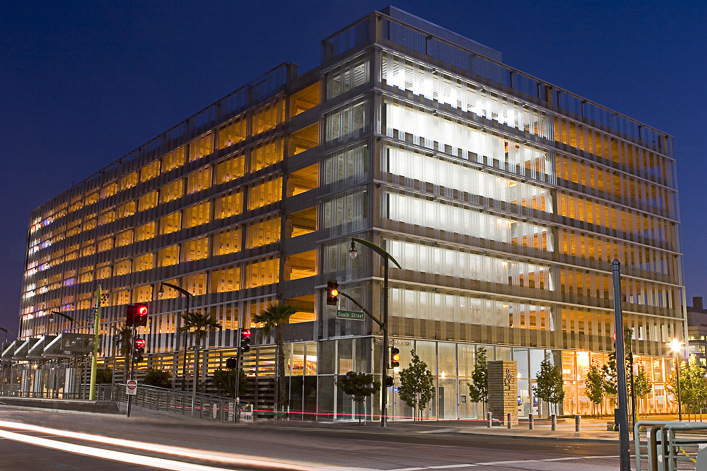 Five story parking structure with precast columns and beams and cast-in-place, post-tensioned slabs for 1883 cars. 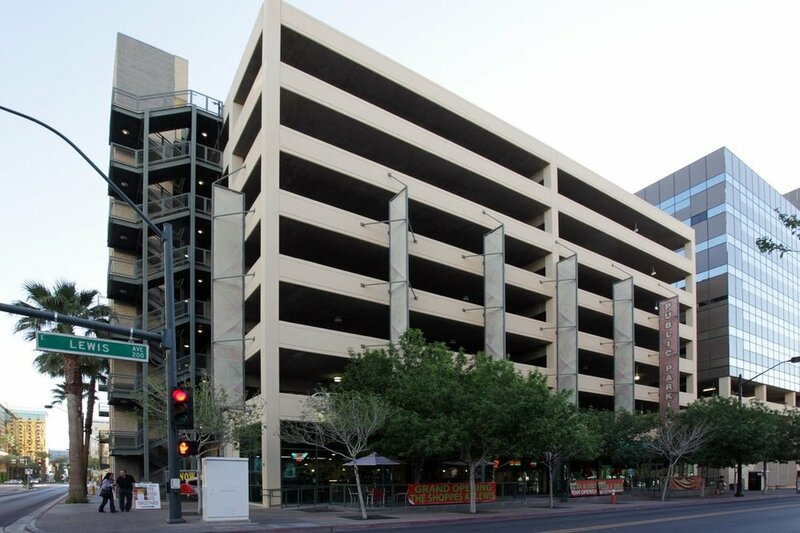 Five story post-tensioned concrete parking structure for 328 cars. Six story post-tensioned concrete structure for 605 cars. Seven story over three basement levels post-tensioned concrete structure for 648 cars. Ten story above grade and one story below grade post-tensioned concrete parking structure for 7000 cars. Four story post-tensioned concrete structure for 523 cars. Six story concrete structure with precast columns and beams and cast-in-place, post-tensioned slabs for 559 cars. Seven story concrete structure with precast columns and beams and cast-in-place, post-tensioned slabs for 592 cars. Six story post-tensioned concrete structure for 571 cars. Five story post-tensioned concrete structure for 535 cars. Four story post-tensioned concrete structure for 633 cars. 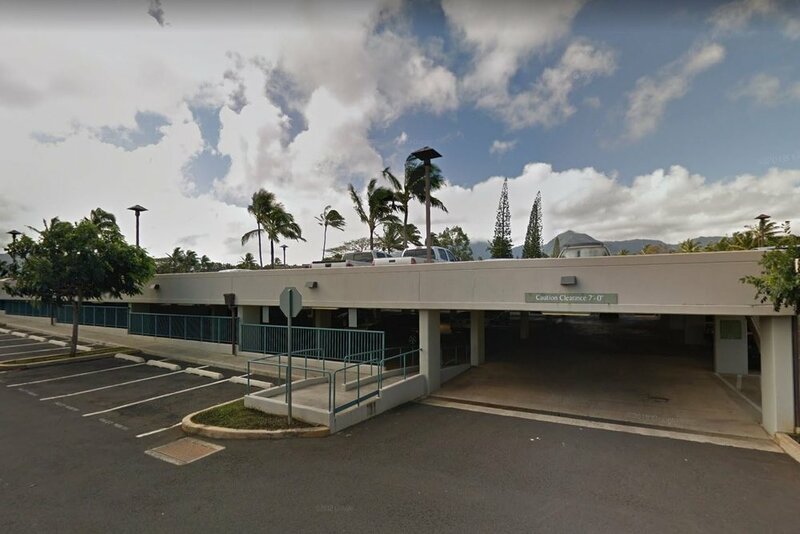 Five story post-tensioned concrete structure for 839 cars plus tall ground level maintenance facility for county vehicles. Three story post-tensioned concrete structure for 636 cars. 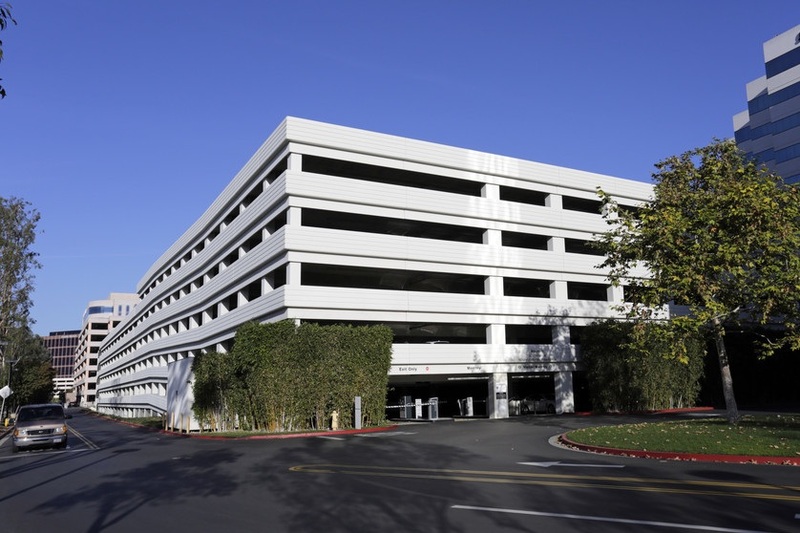 A five story and a three story post-tensioned concrete parking structure for a total of 850 cars. Four story concrete structure with precast columns and beams and cast-in-place, post-tensioned slabs for 791 cars. Three story post-tensioned concrete structure for 278 cars. Five story concrete structure with precast columns and beams and cast-in-place, post-tensioned slabs for 827 cars. Five story post-tensioned concrete structure for 604 cars. 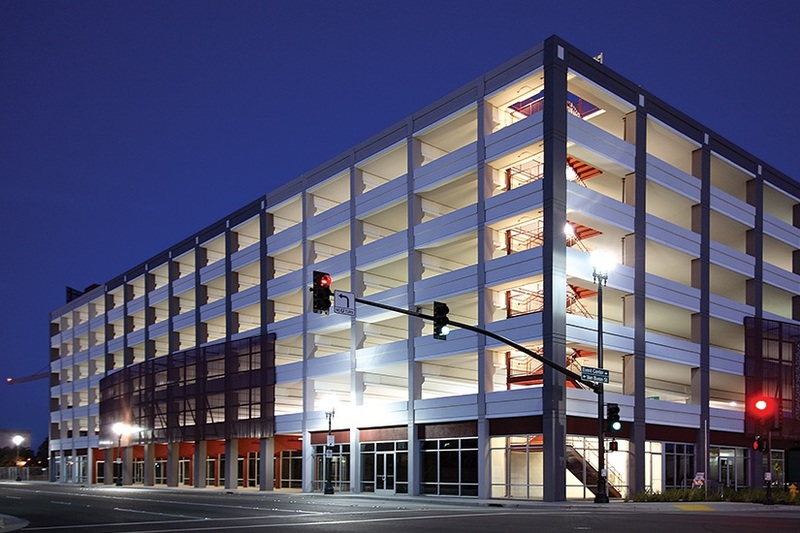 Four story parking structure with precast columns and beams and cast-in-place, post-tensioned slabs for 1309 cars. 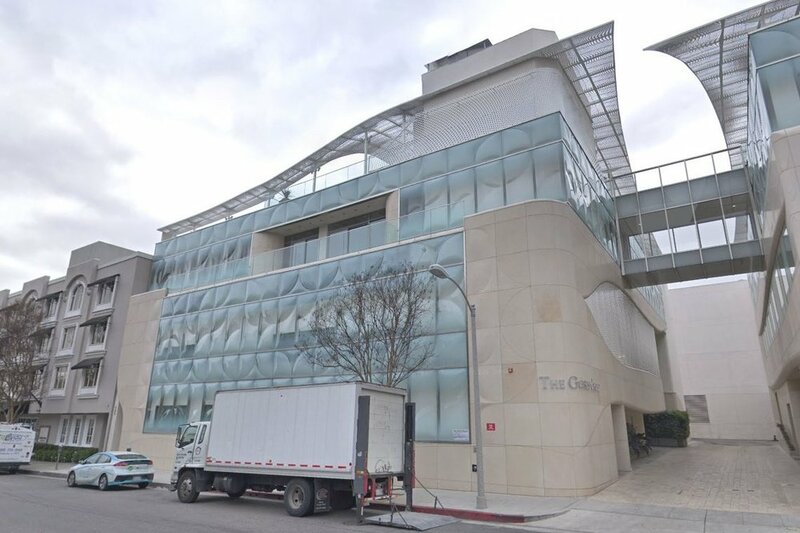 Eight story post-tensioned concrete structure for 654 cars including a rooftop Amenity Level of 31,000 square feet. In addition, a structural steel bridge to adjacent high rise. Five story post-tensioned concrete structure for 1,052 cars. Two story post-tensioned concrete structure for 200 cars. Six story post-tensioned concrete structure for 559 cars. 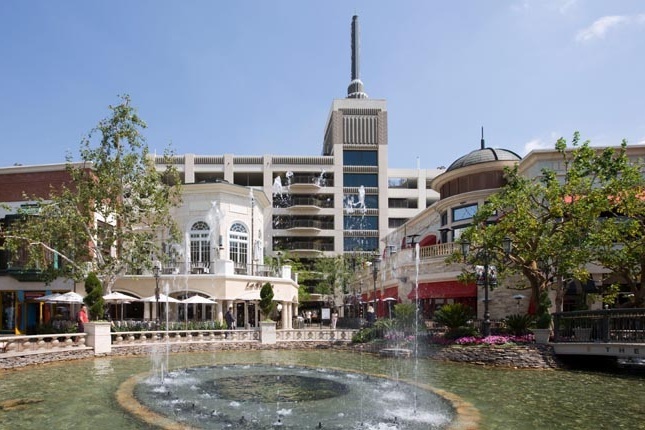 Three story concrete structure with precast columns and beams and cast-in-place, post-tensioned slabs for 1200 cars. Seven story post-tensioned concrete structure for 540 cars. Five story concrete structure with precast columns and beams and cast-in-place, post-tensioned slabs. Four story post-tensioned concrete structure for 597 cars. 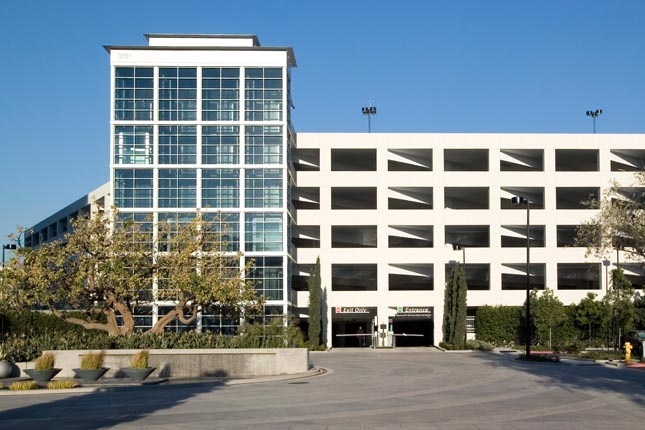 Four story concrete structure with precast columns and beams and cast-in-place, post-tensioned slabs, and seismic retrofit of existing parking structure for a total of 716 cars. Seven story post-tensioned concrete structure addition for 483 cars. 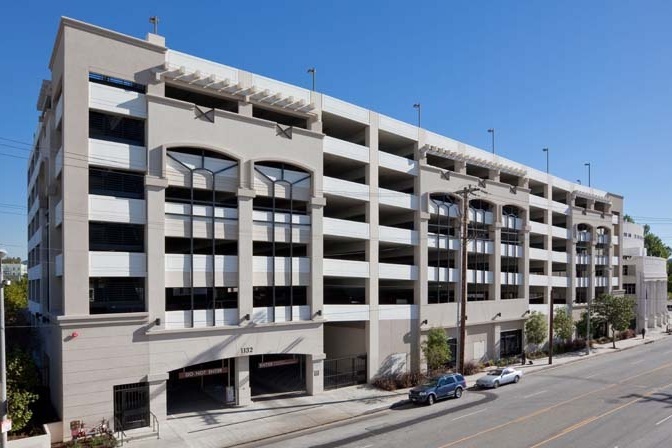 Eight story parking structure with two levels of basement with precast columns and beams and cast-in-place, post-tensioned slabs for 933 cars. Eight story post-tensioned concrete structure for 428 cars. Five story post-tensioned concrete structure for 2590 cars. 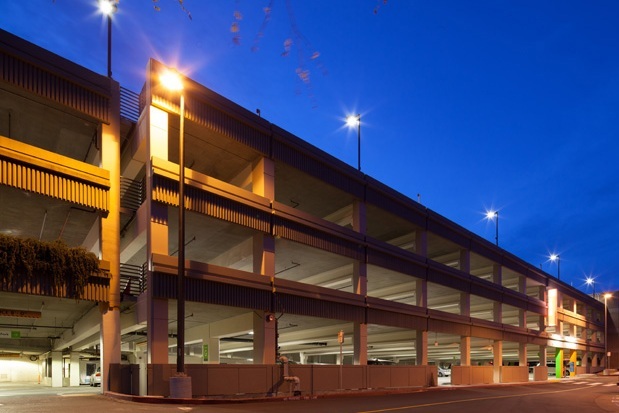 Seven story parking structure with one level of basement with precast columns and beams and cast-in-place, post-tensioned slabs for 1030 cars. Five story post-tensioned concrete structure for 1489 cars. Six story post-tensioned concrete structure for 1450 cars. Four story post-tensioned concrete structure for 827 cars. Four story concrete structure with precast columns and beams and cast-in-place, post-tensioned slabs for 271 cars. Nine story post-tensioned concrete structure for 1,549 cars. Five story post-tensioned concrete structure for 1740 cars. 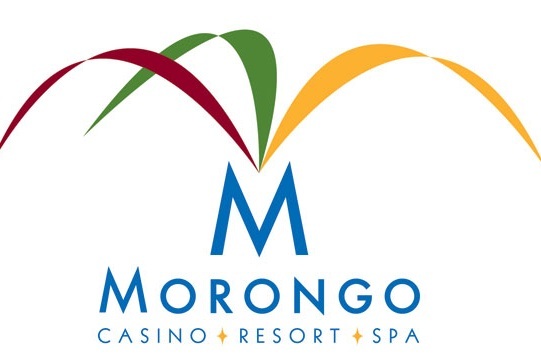 Three story post-tensioned concrete structure of approximately 87,000 square feet. Three story post-tensioned concrete structures for 1883 cars. Three story post-tensioned concrete structure for 1700 cars. Four story post-tensioned concrete structure for 411 cars. Four story post-tensioned concrete structure for 548 cars. 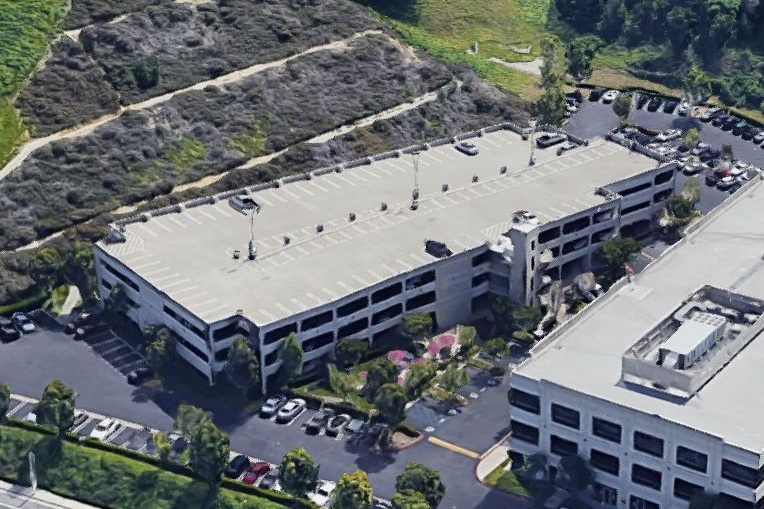 Three story addition to existing Four story structure with post-tensioned concrete structure for a total of 958 cars. 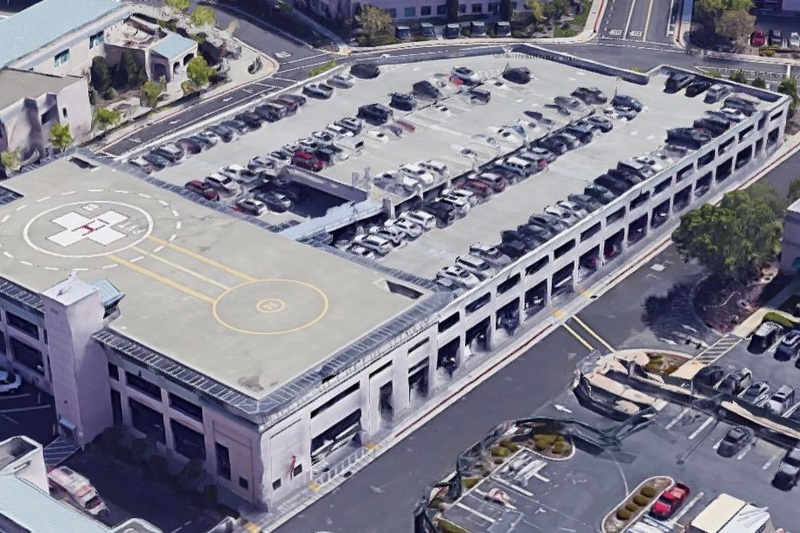 Five story post-tensioned concrete structure for 1,615 cars. Five story post-tensioned concrete structure for 856 cars. Eight story post-tensioned concrete structure for 2768 cars. Six story post-tensioned concrete structure for 1380 cars. Five story post-tensioned reinforced concrete for 3,171 cars. Five story post-tensioned concrete structure for 489 cars. Two story post-tensioned concrete structure for 298 cars. 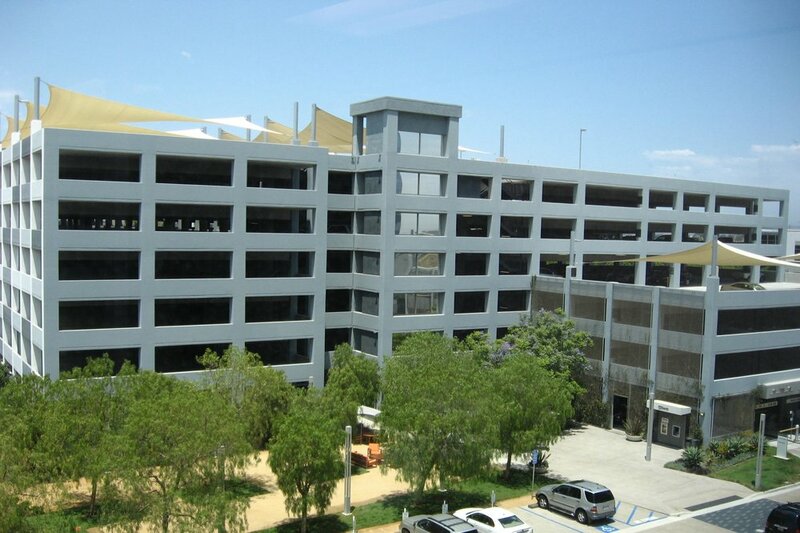 Two four story post-tensioned concrete parking structures for a total of 579 cars. Seven story post-tensioned concrete structure for 1351 cars. SITE P1: Five story concrete structure with precast columns and beams and cast-in-place, post-tensioned slabs for 3123 cars. SITE P2: Three story concrete structure with precast columns and beams and cast-in-place, post-tensioned slabs for 987 cars. Four story post-tensioned concrete structure for 884 cars. Three story concrete structure with precast columns and double-tees with a cast-in-place topping slabs for 292 cars. 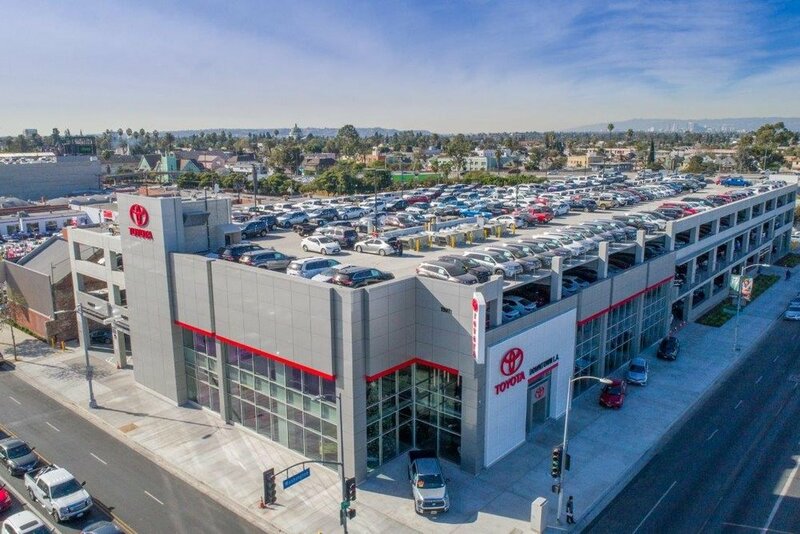 Six story post-tensioned concrete structure for 296 cars plus ground level retail and central plant for adjacent residential project. 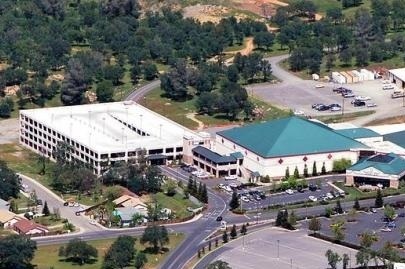 South Lake Tahoe, CA: Four story post-tensioned concrete structure for 422 cars. Three story concrete structure with precast columns and beams and cast-in-place, post-tensioned slabs for 542 cars. Three story post-tensioned concrete structure for 285 cars. Five story post-tensioned concrete structure for 2250 cars. Eight story post-tensioned concrete structure for approximately 3600 cars. Seven story concrete structure with precast columns and beams and cast-in-place, post-tensioned slabs for 3800 cars. 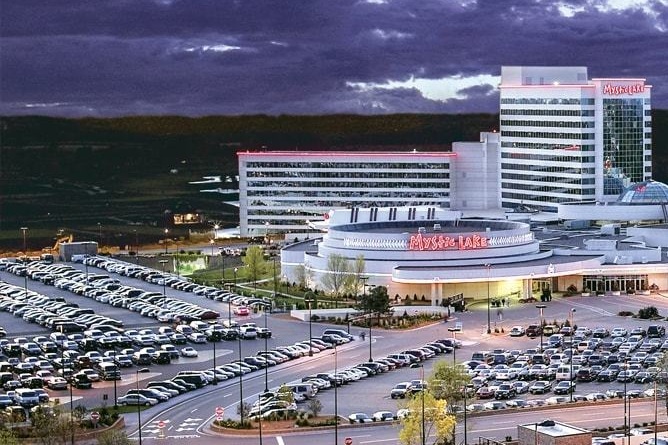 Four story post-tensioned concrete structure of over 147,000 square feet for 476 cars. 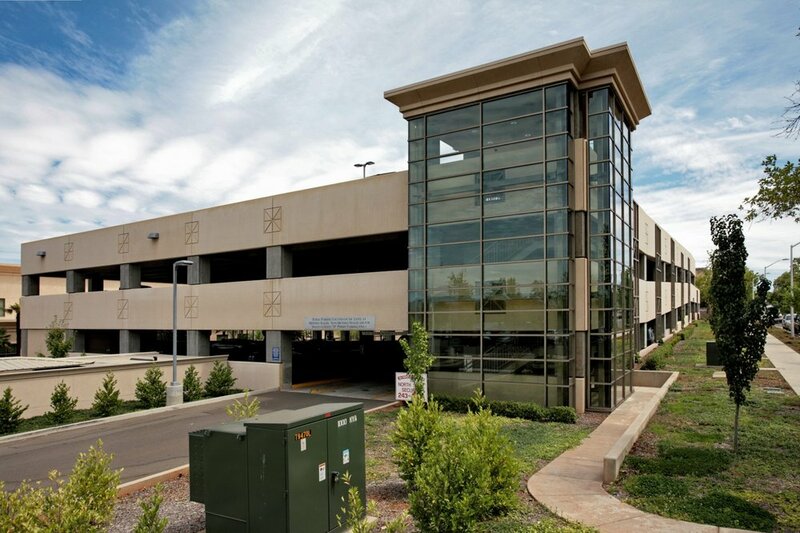 Four story post-tensioned concrete structure for 186 cars plus tall basement level maintenance facility for vehicles. Nine story concrete structure with precast columns and beams and cast-in-place, post-tensioned slabs for 873 cars. Five story post-tensioned concrete for 551 cars. 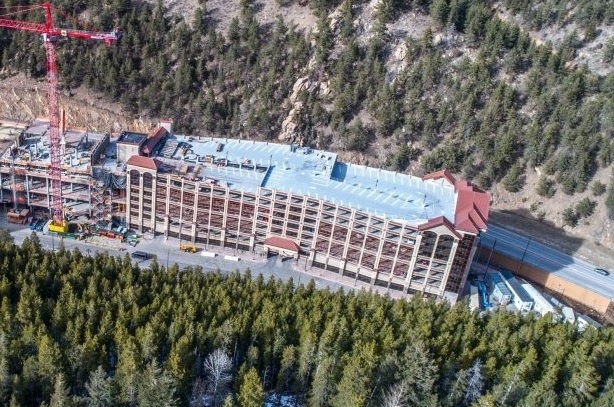 Six story post-tensioned structure with precast columns and beams and cast-in-place, post-tensioned slabs for 503 cars. Two story concrete structure with precast columns and beams and cast-in-place, post-tensioned slabs for 213 cars. Single story subterranean post-tensioned concrete structure for 254 cars under a 89,000 square foot public park at the San Diego Harbor. Four story post-tensioned concrete structure for 351 cars.